Keep visiting GMANetwork.com for updates! Is Alden Richards' 'Wish I May' album headed for a double platinum record? Philippine Association of the Record Industry or PARI confirmed Friday, October 30, that Alden Richards' album under GMA Records had turned into a platinum record less than a week since its release. READ: 'Wish I May' album ni Alden Richards, platinum na! Alden's record label greeted their artist, announcing the awarding that was held on 'Eat Bulaga' earlier today, November 2. GMA Records also posted a video message from Alden himself. "Ayan guys, platinum na tayo. Maraming maraming salamat po sa lahat ng bumili. Ang next goal naman natin double platinum kung kaya," Alden said. "Salamat po, AlDub you all," he continued. Is Alden’s 'Wish I May' album headed for a double platinum record? 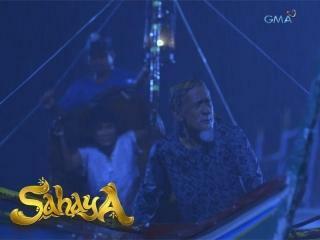 Keep visiting GMANetwork.com for updates!